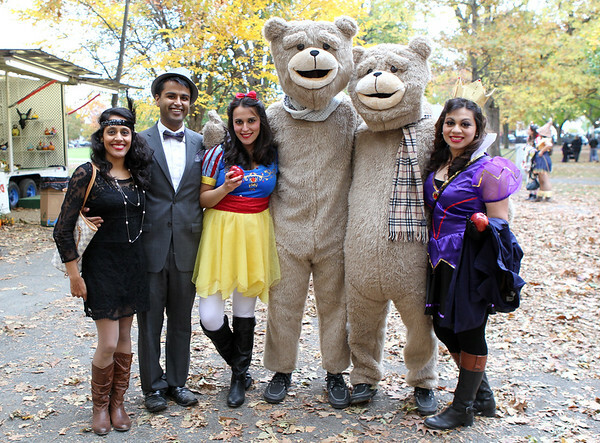 From left, Pooja Nagda, and Darshan Kothari, of Boston, and Katrina Abdalla, Ramesh Cherukuri, Arpan Patel, and Shivani Patel, of Syracuse, NY, pose for a photo on Salem Common on Friday afternoon. DAVID LE/Staff photo. 10/31/14.